Pepperfry is selling AnjaliMix Zobo Duo Red Mixer Grinder - 600 W at 48% Off and During Birthday Celebration Week, FreeKaaMaal is offering specially for You Rs.201 Off!!! So Grab the Offer!!! Never spend a huge amount of time to make different dishes to meet all your family members' demands again. 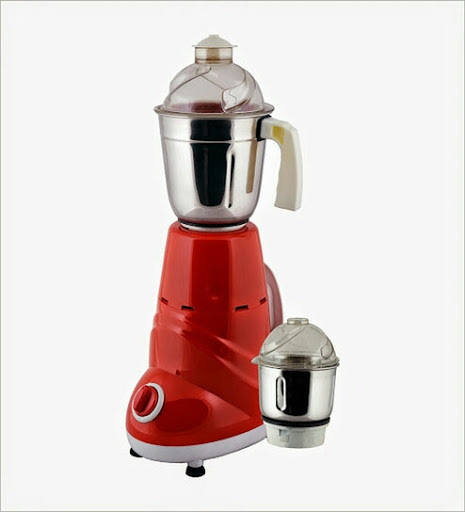 With the AnjaliMix Zobo Duo Red Mixer Grinder, you can prepare everything in no time. The grinder with its two jars and 600 W motor capacity can quickly do all grinding and chopping jobs. Easy to maintain and energy efficient, this kitchen appliance is a must have. A one stop shop for home decor and furniture, Pepperfry sells a home product every 30 seconds.